The other day I was talking to a young woman in my company’s North Carolina office. I mentioned something about “redbud winter,” and she had no idea what I meant. She’s not from North Carolina but settled there after going to college in the state. So I explained about the “winters” that come during spring in the South, and she was enchanted. I’ll share with my friends in case you don’t know. I learned from my mother that in the South there are always cold snaps in the spring that coincide with when various trees and bushes bloom. Redbud winter is the first one, when the redbud trees show their pinkish-purple blossoms. They look like purple flames by the side of the road or in the underbrush of the woods. 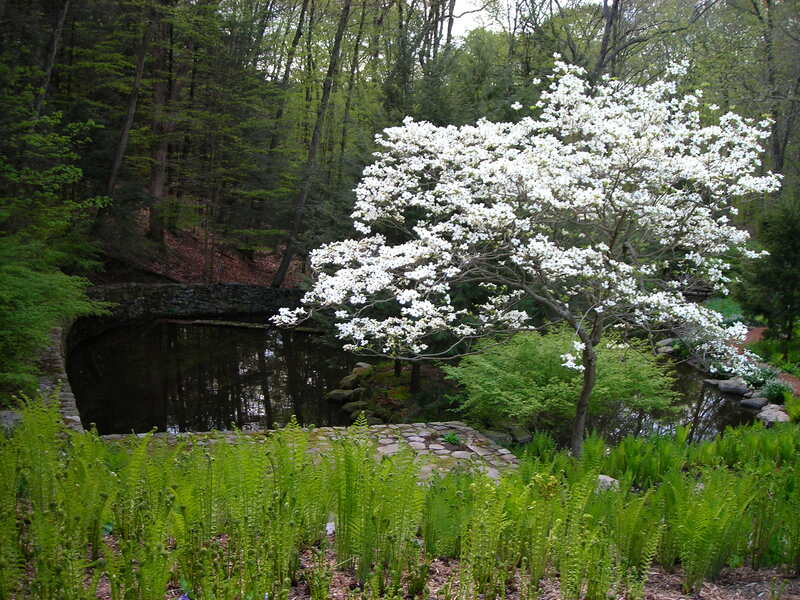 A few weeks later comes dogwood winter, when the dogwoods open their lateral drifts of ivory flowers. They are my favorites, as elegant and spare as a Japanese ink drawing. The last one is blackberry winter, when the blackberry bushes bloom in late spring. When you see the blooms, you know there will be a few days of chilly weather. One of the adjustments I’ve had to make to life in New York is that the whole spring season is very much compressed. Instead of six to eight weeks, commencing with forsythia and the blooming bulbs, and ending with wisteria and the trees fully leaved, there is a hectic period of about a month. This year everything was two weeks late due to the late snows we had. So now the ornamental trees are blooming at the same time as the forsythia and the tulips and buttercups. The willow trees are leafing. And the dogwoods have not yet appeared.